Writing a novel is hard work. And the winner for understatement of the year goes to? 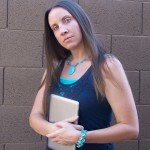 The first sentence of this blog! *Crowd cheering. * I’d like to thank my savior Jesus, and my family and the fans. I’d like to thank the people who nominated me and voted to give me this award. Ok, ok, I’m done. But seriously, it is difficult, and one of the (many) hard things about it, is making sure your story stays consistent. And in case you didn’t know, consistency is the foundation upon which you build the castle that is your plot line. Cause you know what’s the fastest way to have your story labeled “amateur hour” or “unprofessional?” That’s right, having glaring inconsistencies in your manuscript. We’ve already discussed beta readers and critique partners, both are helpful in catching inconsistencies. But the battle for staying true begins long before they become involved. So I thought today, I would talk about ways to help keep you organized which will help keep your story in line. 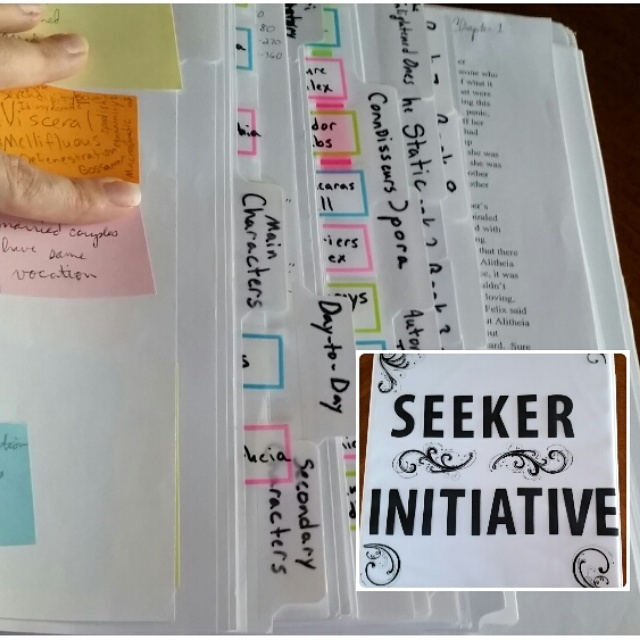 In my blog post last week I talked a bit about my writing process and I mentioned that I started a binder for the YA novel series that I’m writing. 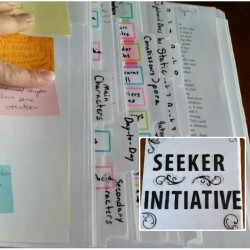 I call it my Seekerverse binder (because my series is the Seeker Saga). It has tabs and post-its and papers galore! Now, you don’t have to have a whole binder if you don’t want to. Like for my novella, I just had a simple notebook with my notes jotted in it. But for my series, I knew I’d be working on it for a loooooong time so I thought the extra effort it takes to keep up with the binder would be worth it. And now, even after only writing my first book, it has already been a huge help in keeping my thoughts organized and in turn, keeping my story consistent. So let’s dive right in and see what I’ve got under the hood. You can see the front cover there in the smaller picture. This was just something I did one day when I was procrastinating. I don’t think you’re a true writer until you’ve put off writing to do something completely frivolous instead. This was one of those many, many times for me. 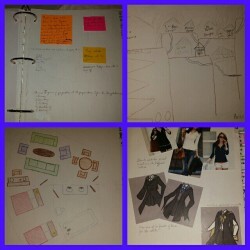 Anywho, the bigger part of the picture shows you a glimpse of the inside of the binder. As you can see, there are lots and lots and lots of tabs. Next comes my timeline. I have one for my whole series and then a more detailed one for the book I’m currently working on. 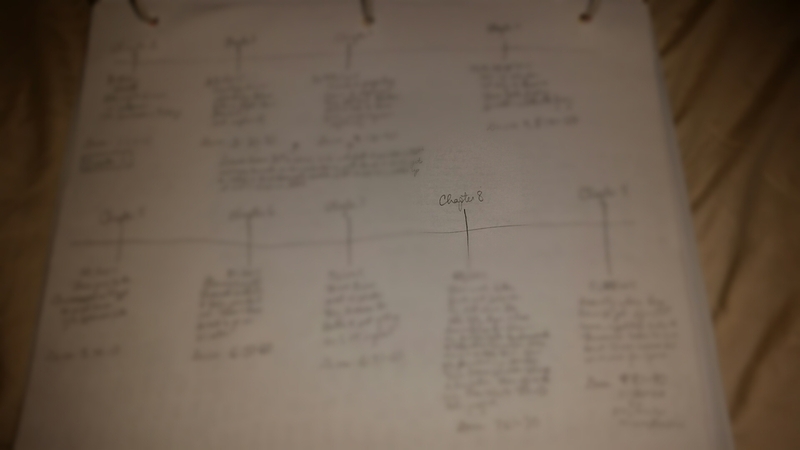 You can see one of the pages from my first book, I have each chapter with some notes about what happens in each chapter. I found this extremely helpful in keeping my story straight and also making sure things flowed and made sense. This is such a great tool to utilize in some form or another that I can’t recommend it enough. You want to be just detailed enough so that you can see the big picture without getting bogged down by the smaller details but detailed enough so you know what’s going on in the chapter. If I wrote something about a character, I made sure to jot it down on their sheet so I could reference it later. This will save you from writing that Johnny is allergic to strawberries in the beginning of your book and then later writing about how the lovely Vanessa is feeding him chocolate covered strawberries (unless Vanessa is purposely trying to kill Johnny and Johnny has a death wish). I also have a separate tab for secondary characters. This is where I put everyone else. If the character is a rather important secondary character they get their own page and I treat them like main characters for the purpose of my binder. Otherwise they just go on a sheet all together. I also have a master list at the beginning that has every single character I write into my story. This gives me a big picture view of my characters which I have found to be helpful as well. I also have a page for post-its and here is where I jot down names I like so I have them all in one place. Then, when I’m introducing a new character, I have a ready made list of names to choose from and I don’t have to stop and think up a name. Nothing messes up my creative flow like needing to think of a name. This way, I can just look at all my post-its and pick a name that sounds right for the character I have in mind. Moving on to my next section, I have a tab for “day-to-day” stuff. For Sci-Fi and Fantasy this will be important, for other genres it probably isn’t necessary. I have this section because things are different in my “world.” There are new foods, customs, words, all which need to be kept track of. This is the place I do it. Anything that’s new and/or different, I jot it down here. This is all general stuff that will reach to the far corners of my novel series. I also have other tabs for more specific things. Like in my series, an important place is the preparatory that my main characters attend, so I have a tab just for that. With it I like to keep ideas for everything from inspiration for their uniforms, to which subject they learn when. And I have drawings for building and room layouts. This helps me write with more detail and then helps me stay consistent on those details. So if my character leaves her room and goes next store to get something to eat, I won’t write later on that there weren’t any other buildings nearby. There are just so many details to keep track of, even in one book. That’s why it’s so helpful to have a place where you can keep track of the details in a way that’s easy to look at quickly for reference later. When I’m writing that my protagonist leaves one of her classroom buildings, I can flip quickly to a tab in my binder to see if she needs to go left or right to get to her after school job. This will be even more essential when I write the rest of the books in my series. I will be able to write my world consistently because I have all these notes organized and at my finger tips. Any element that is important to my story gets a section with a tab. This just helps me flip quickly to it when I need to reference it later. It takes time upfront to create the binder and keep up with the notes, but in the end it saves me time especially when I’m editing and need to quickly check whether I mentioned if my MC hates spiders or something. One last thing I have in my binder is a tab for each book I am writing. I put this at the end because when the book is done, this is where I put my book specific notes. All those post-its that I had at the front get transferred here. All the notes I took that were just for “Book One” go in the “Book One” section. I mean, after all the effort I put into taking the notes I can’t just throw them away right? Also, if I have ideas for future books, I can jot those notes down too and put them in their proper place. Then when I go to write that book, I have the notes all ready to go. Well, thus sums up today’s Writer’s Resource Article. If you found it helpful please share it with others by copying the link or using one of those handy social media buttons below. If you have any helpful tips for how you stay organized I’d love to hear them! Just jot them in the comments section. And if you’d like to see more resources like this, please check out our Resources for Authors page where you will find an index of the different topics we have discussed here on The Writing Piazza. Thanks for tuning in.